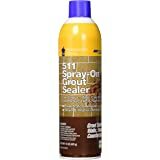 Amazon's Choice for "grout sealer"
Miracle Sealants GRTSLRAEROCS Grout Aerosol Spray Penetrating Sealers 15 oz. 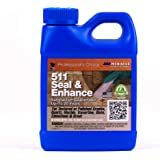 Miracle 511 Seal & Enhancer 1 Qrt. Amazon.com Carpets & More Terrazzo & Marble Supply Company NG, Inc. Simple Supplies Store NG, Inc. 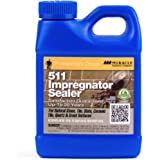 Miracle Sealants 511 Impregnator is a penetrating sealer designed for the protection of all medium to dense porous surfaces. Forms a transparent layer strong enough to combat moisture and stains while allowing vapor release. 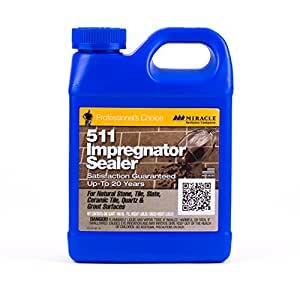 511 Impregnator does not alter the natural look of the surface following application. Provides water, stain and slip protection for interior and exterior tile and natural stone surfaces. Surfaces treated become harder and less slippery. Satisfaction guaranteed up to 20 years from the date of purchase to the original purchaser. 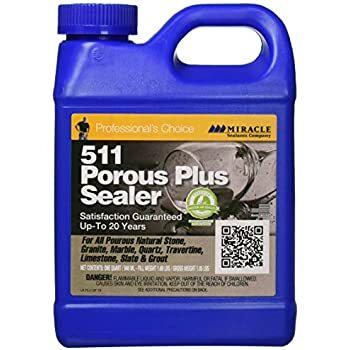 If not completely satisfied with product performance, when used as directed, contact Miracle Sealants Company for product replacement or at its option, refund of the purchase price upon return of unused portion with the original dated receipt. Exclusions: 1. 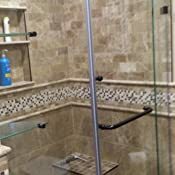 Replacement costs for labor and installation materials such as tile, natural stone, grout, setting materials, under floor heating, electrical, plumbing and any other costs associated with the installation. 2. Improper installation. 3. Improper use of maintenance and household products. 4. Ordinary wear and tear. 5. 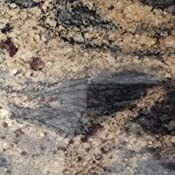 Grout related issues including but not limited to staining, color variation, discoloration, cracking, chalking, mildew or mold. 6. Any item which might be expected to damage the product including but not limited to: abuse, negligence, falling objects, fire, earthquake, tornado or other natural disaster, exposure to extreme heat or accident. 7. Commercial use which constitutes store, office or other place of business. 8. Outdoor use. 9. Variations between field and trim; tile and stone. 10. Natural variations from design and color samples or photos. 11. 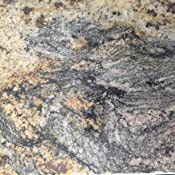 Any color or shade variations, different markings, holes, pits, inclusions, veining, density and any element inherent to natural stone and tile surfaces. Procedure for Making a Claim. The original purchaser must notify Miracle Sealants Company of the defect in writing within 30 days of discovery. 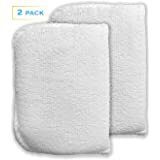 Original Purchaser must supply unused product and the original purchase receipt. Failure to produce documentation renders warranty null and void in its entirety. 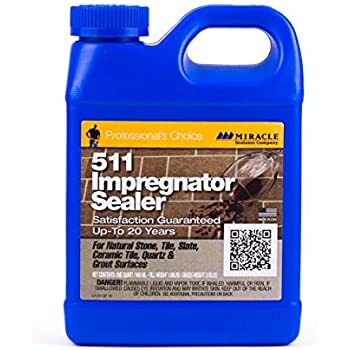 No claim will be honored unless Miracle Sealants Company is given an opportunity to inspect the allegedly defective product. Failure to produce product for inspection renders the warranty null and void in its entirety. 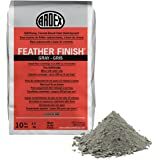 5.0 out of 5 starsThis is the stuff to use! We just bought a house with a new full tile shower in the master bath. I've sold shower enclosures and know that these tile floors leak like crazy after a few months if they are not treated. The water seeps through the grout into the subfloor. 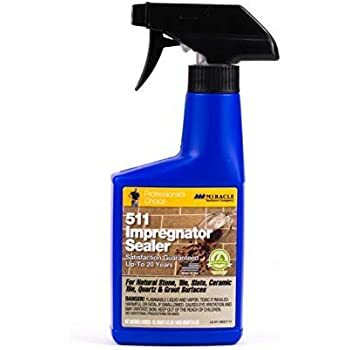 I called the installer and he recommended the 511. He said the biggest problem is people not using enough of it in the initial application - second biggest problem is not applying a follow up application 3-5 months after the first. Installer said a pint would be more than enough and he was right! 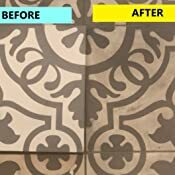 I had the whole shower floor and bottom 2 feet of wall tile done in 3 minutes - waited 4 minutes and wiped the excess off with a couple terry cloths. After the recommended 3 day curing time I took a shower and was impressed that the water beads up! There was no discoloration to my white porcelain tile or the grout. 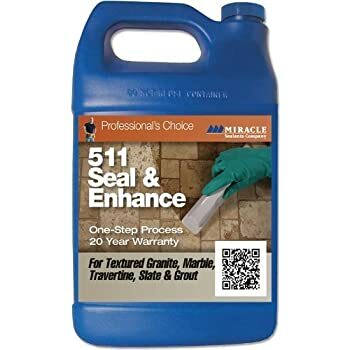 I'm happy with the results and think this should help protect my subfloor from leaks (A good installer lays a barrier beneath the tile, but I wanted to protect as much as possible so I went with the Miracle Sealant 511). 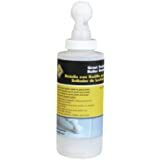 5.0 out of 5 starsBest grout sealant we have used - we use it on a rooftop patio ocean-side. This sealant is the best we have found. Water does not make it through. Only issue is it is very dangerous chemical. Wear good eye and hand protection and try not to breathe in fumes. You can smell the strength of this stuff. 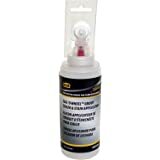 We have bought other sealants, and they do not perform anywhere near this product. You will not be disappointed. ONE WORD of CAUTION.... the measurement coverage. We bought it thinking it would cover 1000sq ft of grout, however on the inner chart that came with it, it was only 200sq ft for grout 1000 sq ft was for non-porous tile. So we needed more. Check out coverage details by material before buying to estimate quantity. I did not do that. My project: Clean and seal a basement floor after the cats had decided the didn't want to use their litter pan. How much did I need? Approx two quarts for two coats over approx 700 square feet. In other words, 700 sq. ft. per quart. Does it work? Yes, so far. Water beads up beautifully on both the tile and grout that have been treated. It's only been a month so far. Overkill? Maybe, but I wanted to do this right the first time. For 700 sq. ft., It probably took me 20-ish hours to clean, and only 5-10 to apply two coats. Cleaning was the vast majority of the work. I have 12x12 tiles with approx. 1/4 inch grout. That's about 1,500 linear feet of grout (my best guess). Used a small children's paintbrush and carefully painted over all the grout. After each application, waited 5-8 minutes before wiping off. My tiles are completely matte limestone, and so easily soaked in any excess sealant left on the surface. I just had to buff the excess into the face of the tile, and it would soak in nicely. If I had glass or other glossy tiles, I might have had to wipe off 100% of the excess, which would be much more difficult. The Result: Dry to the touch in hours, started walking on it in a few days. Water beads up fantastically and wiping up is easy. The tiles have a *slightly* but barely noticeable increase in the glossy finish after having dried for a few days. The cats haven't peed on it yet, so I don't know how well it will truly work. 1. Ignore the square footage guidelines. What matters is how much *grout* you have, not how much *floor* you have. 2-inch tiles with 1/4 inch grout will need a massive amount of sealant. I had 12-inch tiles so didn't need as much. Make your best estimate and then test before buying what you think might be the right amount. 2. Test a small section first to see how much you need. My tiles and grout were very "thirsty" and soaked it all up easily. I put two coats everywhere, and a third coat on the most heavily trafficked section. Test your tiles first. 3. Use disposable equipment. Latex exam gloves, a plastic cup, cut-up T-shirts and a child's paintbrush were all the supplies I needed. This stuff needs mineral spirits to clean up, which is a major hassle. Disposable = no cleanup. 4. Knee pads! You will be kneeling on a stone floor for hours. 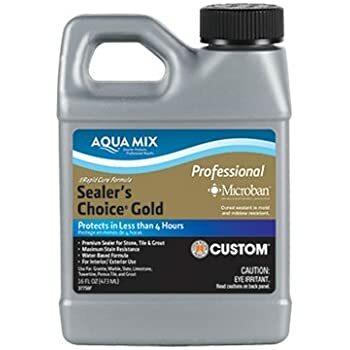 my excellent tile contractor told me that this is the cadillac of sealants but recommends recoating every couple years - when water stops beading on the surface. Seems to work well so far. 5.0 out of 5 starsI highly recommend it. New floor with new grout. Put it on with little paintbrush....did not take long at all. If it got on the tile...that is ok as it didn't show after it dried. Tested a spot after it dried for 24 hours, and water beaded up right away. I highly recommend it. This sealant is supposed to be invisible but turned my off white grout to a bone color. 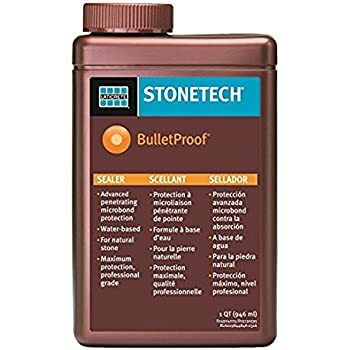 5.0 out of 5 starsBuy this...not the other bulletproof brand. This stuff is absolutely incredible. I paid a ton of money for a brand called BulletProof but it was lousy...never seemed to seal anything. I used the 511 on my shower grout and tile. It has been just 2 months but the water still beads up and rolls off. Does what it is supposed to and at an affordable rate. 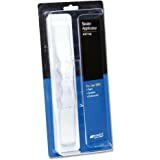 I purchased this Item because of the reviews here. I made sure to follow the instructions really well and I did not have the luck that some buyers did. I applied this thing 3 times!!! That's right 3 times going over the whole kitchen, because every time after each coat, I would do the "water test" and it will go right into the grout, after 3 coats I just told my wife I was done, whatever happens happens.